Pond5 has created an important resource for designers and developers, called The Public Domain Project. As the name implies, the site provides photos, illustrations, video footage, effects, and 3D models that are all in the public domain (which means FREE to use!) Instead of searching the archives of NASA, The Library of Congress, museums, and countless other online collections, The Public Domain Project brings it all together in one easily searchable site. 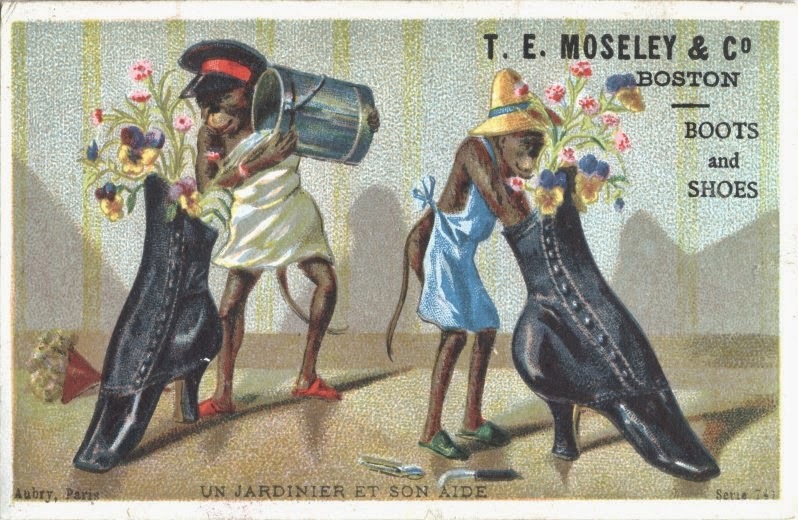 The Public Domain Project also has created searchable collections, sorted into topics such as military, space, classic sports, and fashion and style. So if you work on projects that require media of different sorts, click on over to The Public Domain Project to learn more! The main reason I'm writing about this at all is that one Facebook post about the Northern Lights (below) got picked up by my museum network, and that one post led directly to my trip to Fairbanks. 1) Make sure what you are putting out on Social Media is interesting and/or useful to to other folks. 2) Keep track of the folks in your network often, not just when you need and/or want something from them. There's a reason it's called SOCIAL media after all. It should be more like talking to a friend, not making a sales call with every Tweet or LinkedIn entry. Really, do you want to be that person who turns every conversation into an annoying sales pitch? Ideally people in your Social Network(s) should be providing you interesting information, advice, news, and yes even the occasional goofy video or article that they liked --- and you should do the same. 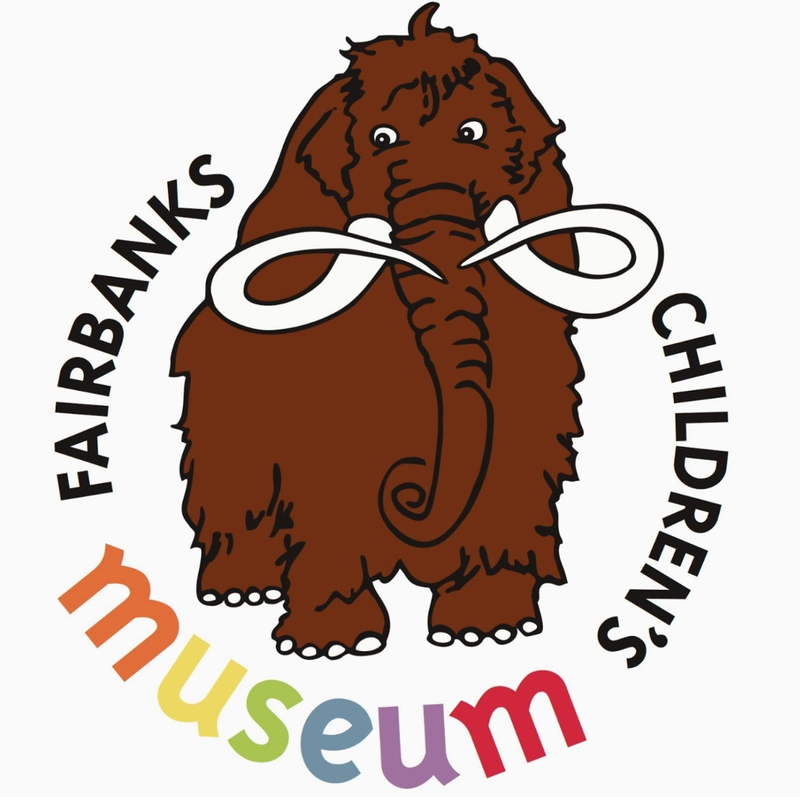 I've met Brenda Riley, the Executive Director of the Fairbanks Children's Museum, at several museum conferences, and I've always thought, "this is a fun and smart person who is working on an awesome project. I need to keep track of her and her museum, so I should friend her on Facebook, and tell her about my blog, so that when the opportunity to work together comes up, we'll be on each other's radar screens." And really at this point, that's my business plan: work with fun and smart people who are making awesome things. Social media (for me at least) is a way to stay in touch with all those future creative partners. Maybe Social Media won't bring you to Alaska, but who knows where it could lead you? Inspiration Is For The Birds! I love that quote from artist Chuck Close, and firmly believe that the way to get better at anything is to just do it -- a lot! Despite that, I often come across things that fill me, if not with inspiration exactly, then certainly with great admiration, and spur me on to make my work better. The first is an app called Merlin, produced by the Cornell Lab of Ornithology that allows you to identify birds through a few simple steps. Merlin encompasses everything you could want in an app --- clean design, intuitive interfaces, and the capacity to dig deeper into information that interests you. Merlin could easily serve as a model to designers and content developers everywhere for making scientific content more accessible. Just answer five simple questions about a bird you are trying to identify, and Merlin will come up with a list of possible matches. 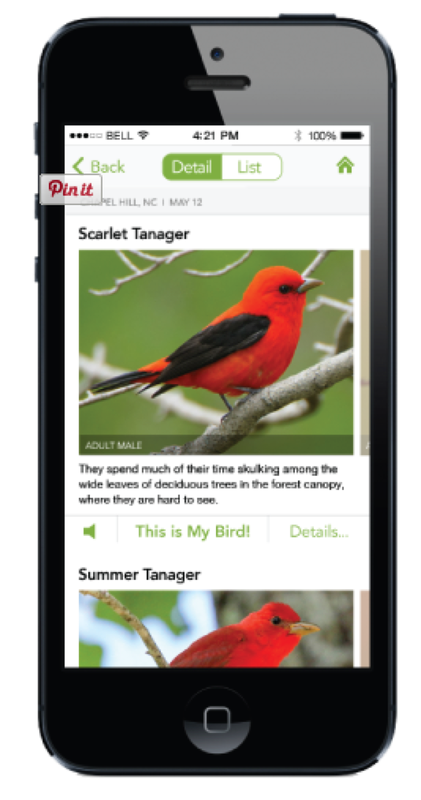 The app customizes your list to the species you are most likely to have seen at your location and time of year. 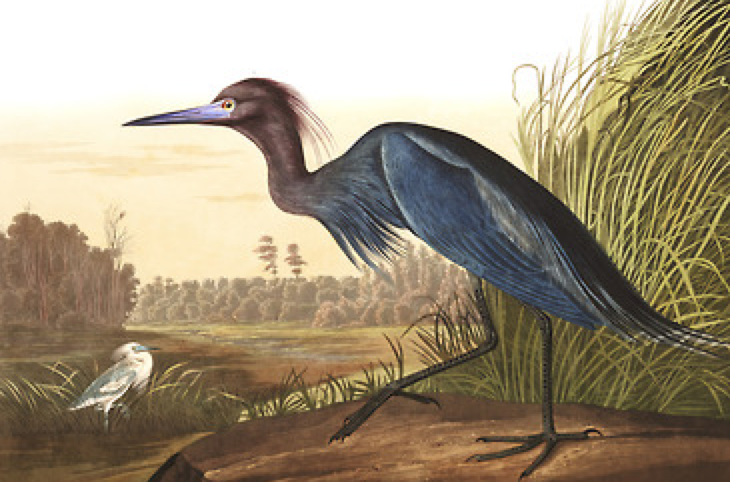 The second noteworthy recent find is the website creating a digital version of John J. Audubon's Birds of America. 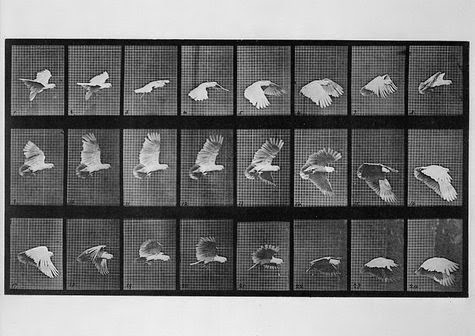 The Audubon website draws from an 1840 “First Octavo Edition” of Audubon's complete seven volume text, and also presents the images and original text descriptions. Bird species can be found listed alphabetically, or categorized by family. Audubon's drawings of some species' anatomical features are also included in a separate Figures section. There are also very high-resolution scans of the original plates. (Some of them are over 14MB in size!) 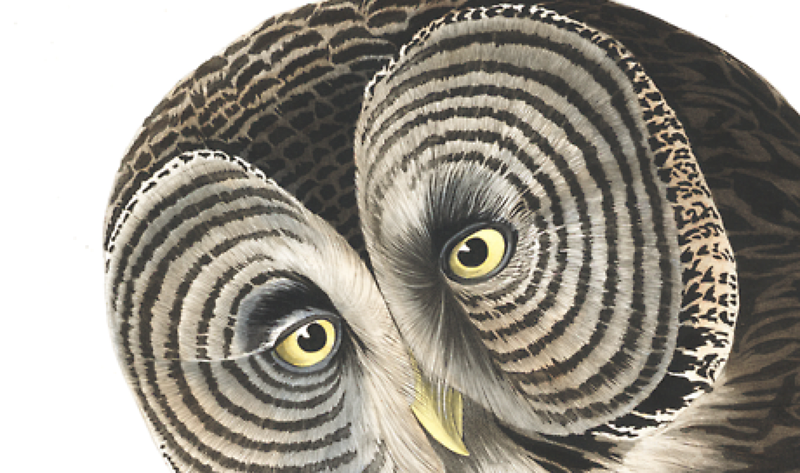 These beautiful images are of such high quality that you can zoom in and see the amazing detail in Audubon's watercolors. The website serves as another great example for ways of presenting powerful original materials through the thoughtful (and accessible!) use of digital tools. Like what you read on ExhibiTricks? Click on over to the main POW! website to find out more about working with Paul Orselli.